This great summertime visor is called "Love Birds"... 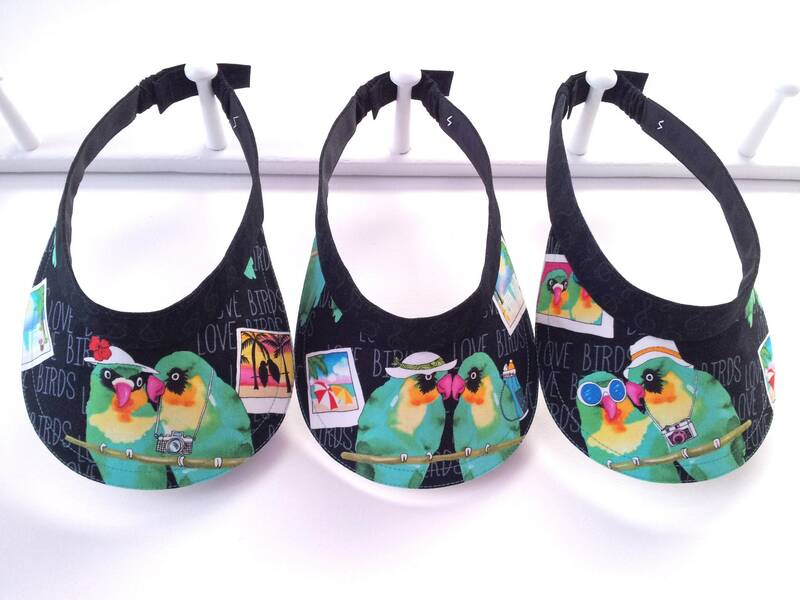 The brim features two parrots side-by-side on perches, wearing sunglasses and/or cute hats, others have cameras or a backpack. In between are postcards and vacation snapshots of the two. So cute! The black background has the words "LOVE BIRDS" in grey. 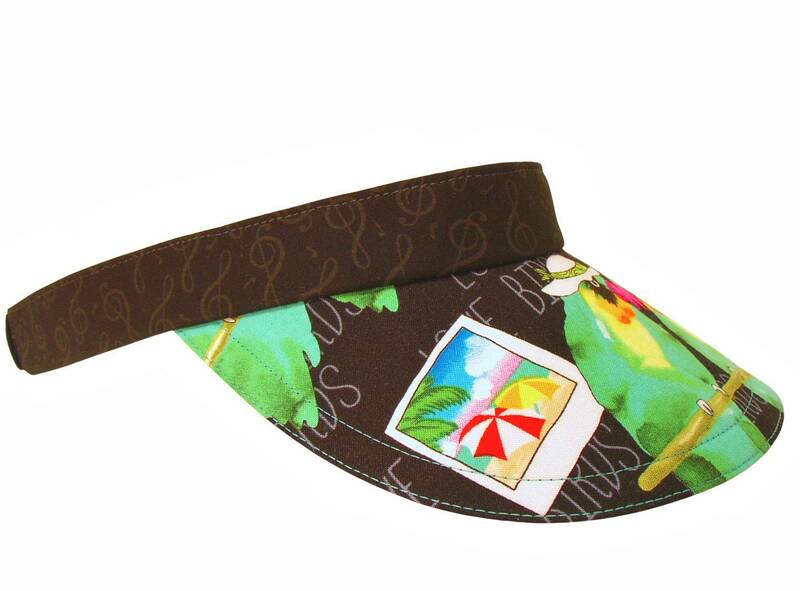 The underside of the brim features a complementary black and grey music notes print. 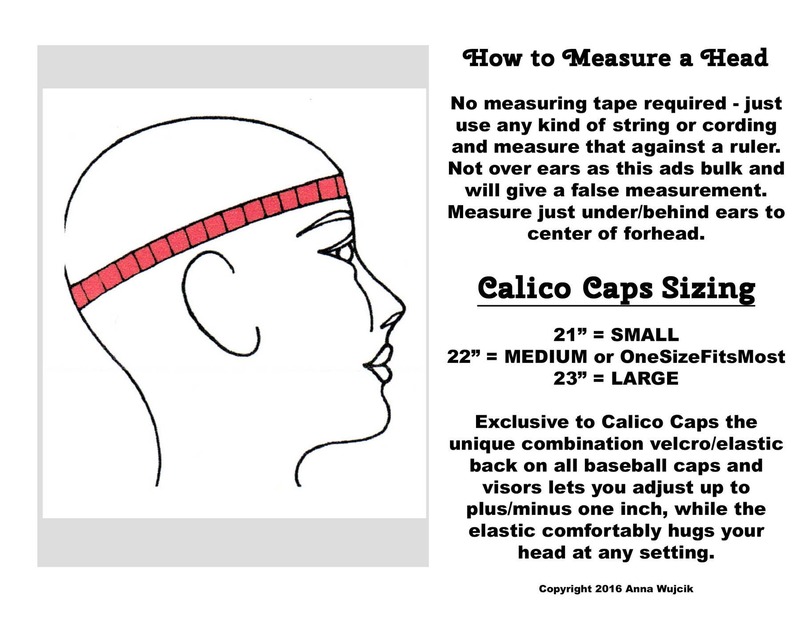 This print is also used for the band and makes a really neat hat. A great gift for your favorite retirees, world travelers, Caribbean Cruisers or photographer friend. The brim is accented with contrasting peacock blue top-stitching. Grey top-stitching on the musical notes band. Matching black grosgrain lines the entire band. Only two visors remain from this Limited Edition group: Identified in the group photo #C is a size SMALL/Medium and #B is a size LARGE/Medium.